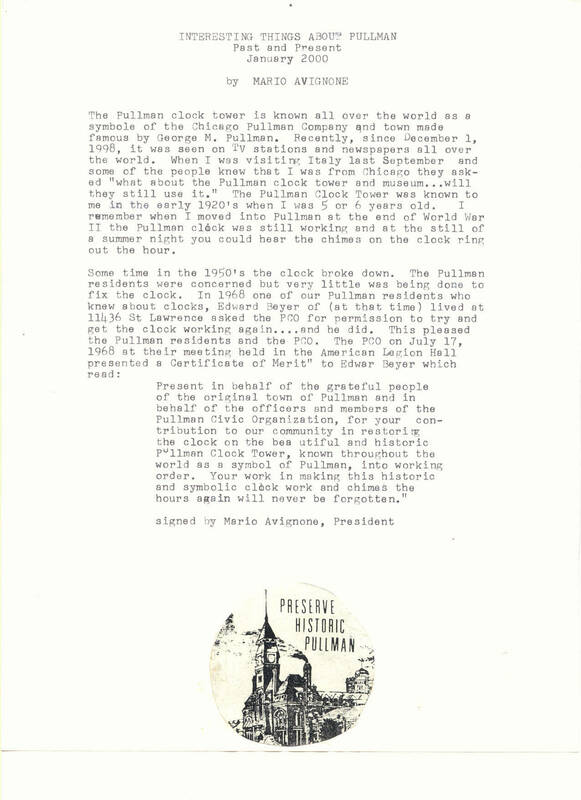 Series of essays and anecdotes relating to the social history of Pullman, for publication in the Pullman Flyer. Typed original and draft copies, some with photos and banner layout. Description Series of essays and anecdotes relating to the social history of Pullman, for publication in the Pullman Flyer. Typed original and draft copies, some with photos and banner layout.